I love pink. I’m not afraid to admit it. But I like grown-up pink. 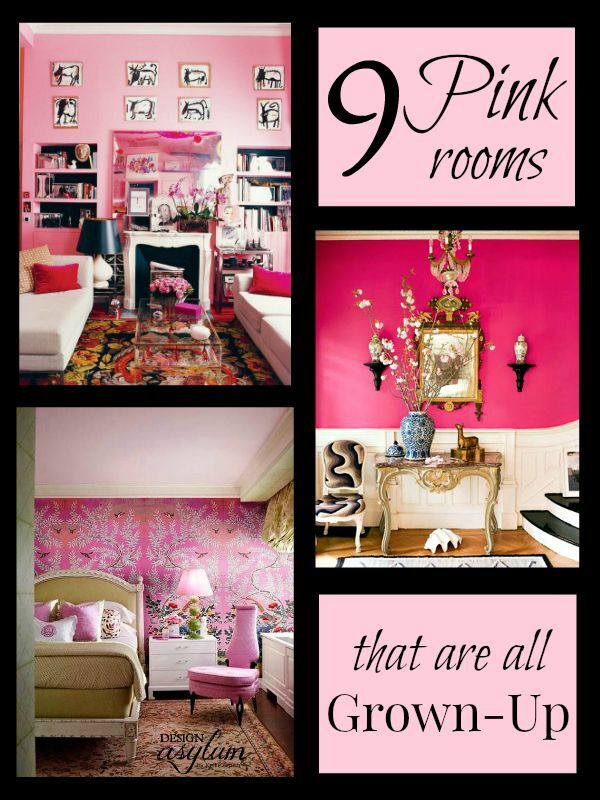 Check out these gorgeous pink rooms that are all grown-up. I like the sophisticated and elegant side of pink. The glamorous, rock-star pink. The pink that makes you say….wow. Think pink is just for little girls? Think again. 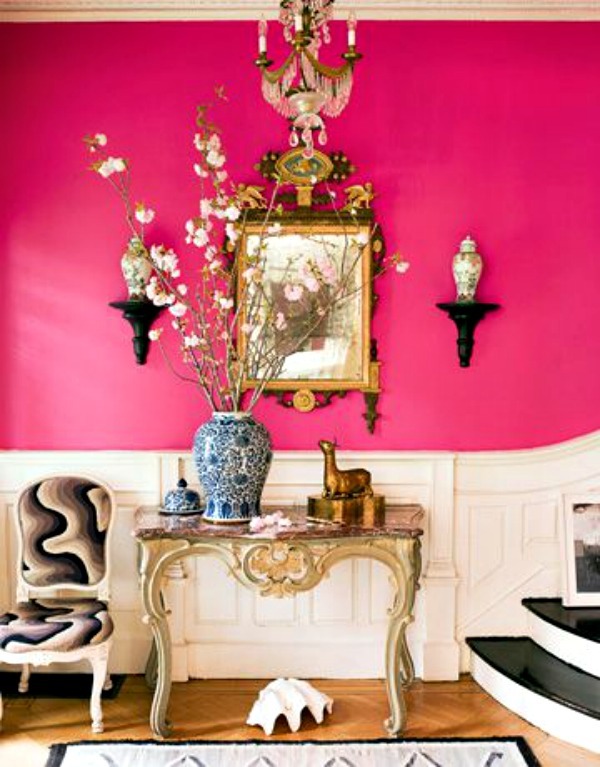 Let’s look at these spaces that used pink perfectly. How about this? Bold, modern and glamorous. I say yes. Oh my, this incredible bedroom. Those walls. Absolutely gorgeous. Isn’t this a wowzer? There is so much fabulousness going on in this space! 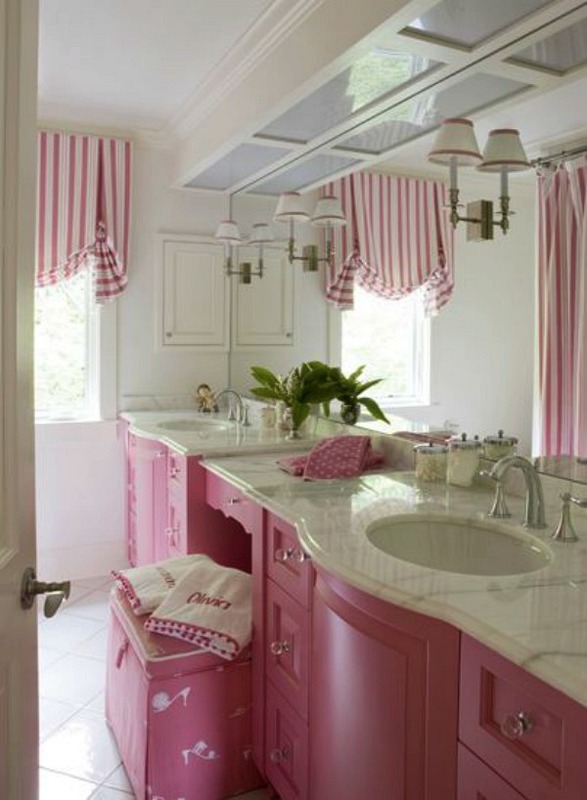 How about a pink bathroom? This bathroom works because it is paired with other great finishes, like the marble and crystal knobs. 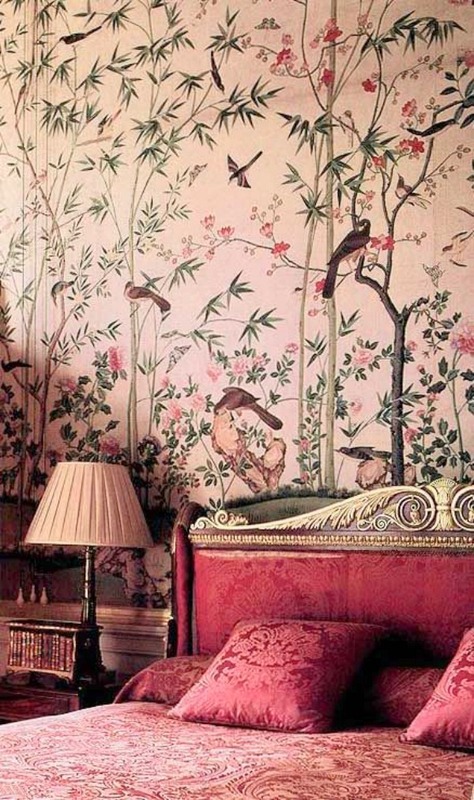 This chinoiserie wallcovering is what dreams are made of. This room is so gorgeous I can’t even handle it. I mean, look at it. Would you ever leave your home office if it looked like this? The drama of this entry way…. 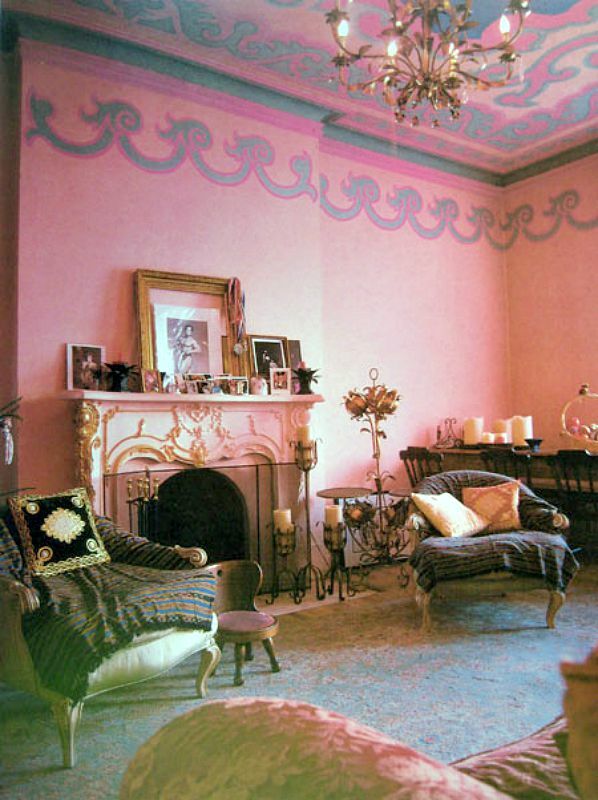 The living room of fashion designer Susanne Bartsch is absolutely divine. The details of the ceiling are gorgeous! So how do you feel about these fabulous rooms? I love pink too! These rooms are Awesome! 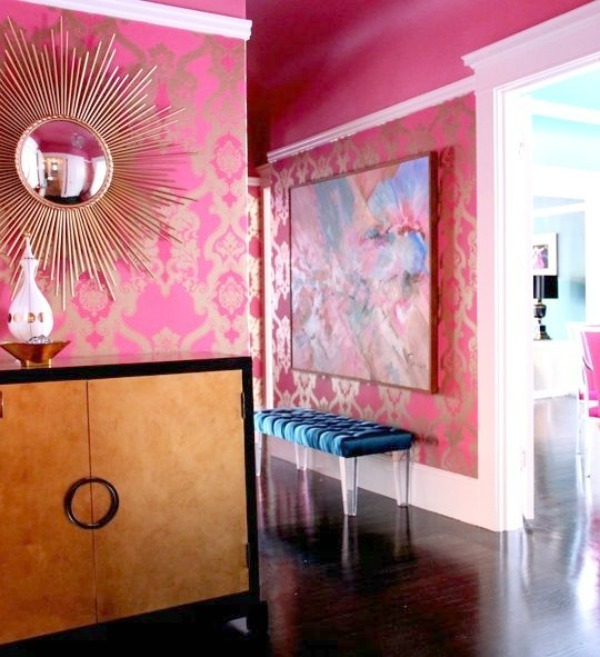 Especially love the entry way, how they used the pink as an accent, rather than all pink walls! Right? That entryway is gorgeous!!!! Thanks so much for stopping by Jane!! I really do like these more “sophisticated pink” looks. Most of the color palettes are pink, black, white, and the occasional gray. Do you have any other complimentary colors that are not too over powering for this look? I am having trouble coming up with any. Great post! Hi Courtney! I love pink mixed with turquoise, corals, yellows or lavenders. I think any of these can be great together! 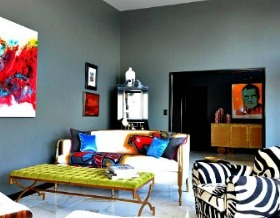 I also like it when a space has different depths of colors. Maybe a strong turquoise with a paler pink or reversed. Hope this gives you a few new ideas! Thanks so much for stopping by! I love pink too. 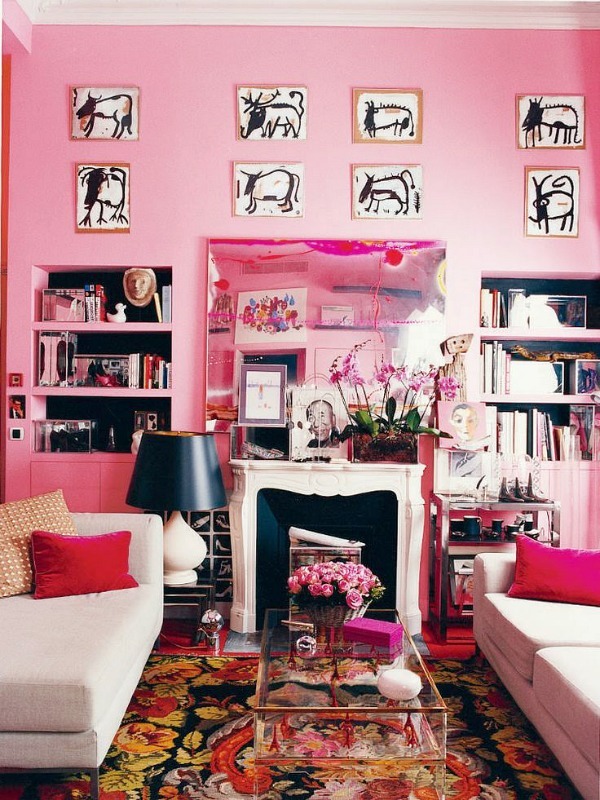 I love the pink wall with the white fireplace. It seems inviting and I am with Jane about that entry. It is gorgeous!! JC, wasn’t that room amazing? I could move right in! 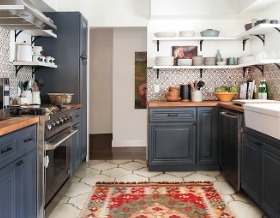 I especially love the rug. Mmmmm. Thanks so much for stopping by! I love that room by sadie & stella. 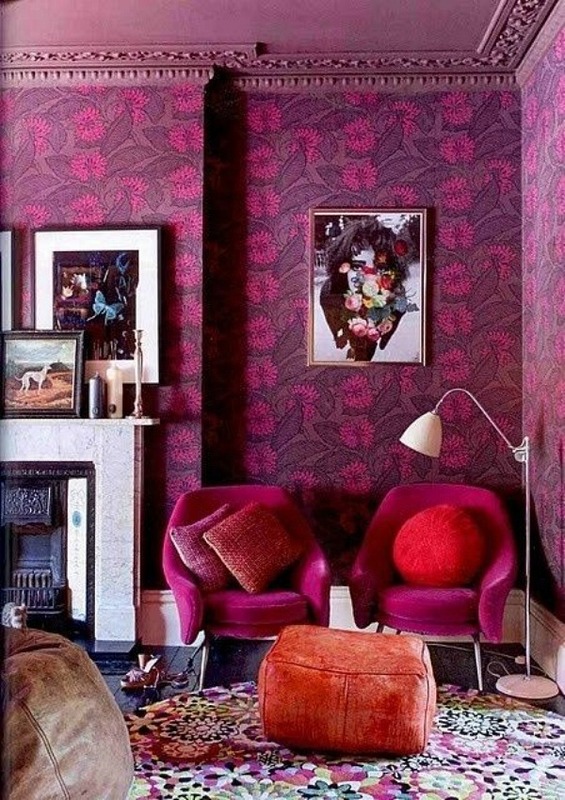 I can totally do pink in my home. love it! I agree Jessica, that room is gorgeous! Thanks for stopping by!! !